This is a unique book with a lot, lot, lot going on. It’s the first of a trilogy (based on the name), and I am assuming this first book is weighty with the telling of the back story, because it is scant in projecting the relationship. There is a lot of martial arts terminology – some of which adds color and a sense of realism to the book, and if you are a fan of the martial arts, perhaps some extra texture. For those of us not into martial arts, it was burdensome and sometimes difficult to follow in the context of the action. In addition to the martial arts terminology, we are given two very complex characters with many side characters and their back-stories. So this is a meaty book. That being said, there were times when I was really at a loss as to the motivation of the characters, especially the MCs. Asbjorn joins an opposing martial arts center to check out the competition and then ends up being attracted to the teacher, Sean. Sean, who starts out the book as very straight, suddenly, and without any seeming reseveration, goes GFY for Asbjorn about midway through the book. I never quite understood the immediacy of his actions, especially when – around the time the two start to hook up – Sean is essentially raped by a man. Instead of shying away from his newly “gay” feelings or being frightened of another alpha male’s sexual advances, he pushes Asbjorn to move their physical relationship forward in a way that felt very inauthentic and strange. There were parts of the story that were very strong. I liked the writing, it was well edited and the style was clean and well presented. The relationship between the two MCs has some potential for being interesting, as they are both very strong-willed and MALE, and as such, they need to learn how to adjust for one another in that aspect, which can lead to some interesting reading. I wanted to feel more of the pain from the attack, maybe work through Sean’s pain in a slower fashion, and see his trust with Asbjorn grow over time. Instead, it seemed rather rushed, and maybe this will be addressed in future books, but it left me rather baffled at the end of this first installment. If you like action/mystery/suspense mixed in with two tough guys in a romantic relationship, this will likely keep you very interested, especially if you have an interest in martial arts. The antagonist in the story is also fairly creepy, and again, I was left scratching my head at Sean’s handling of his interaction with him. But it was suspenseful, and that kept me turning pages to see what happened. 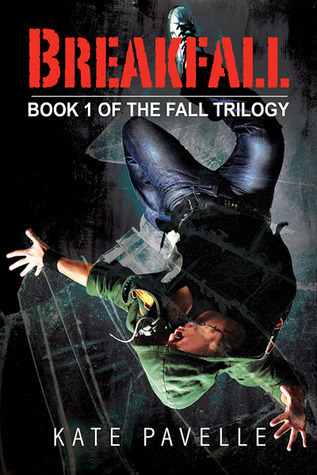 I’ll warn you there is a slight cliff-hanger at the end – in terms of the action part of the story, not the romance per se, so if that bothers you, it might behoove you to wait till all three books are out. Overall, I thought the book was good. It was well written, and it exposed me to the world of martial arts in a very interesting way. I think the two MCs’ relationship has a potential to be interesting as it evolves, but with as much as was “said” already by the two, I’m not sure there is a lot more they can do to evolve this relationship.